I’m a well intentioned gift giver. I really give gift giving a lot of thought, and want to communicate my love to the receiver. This is never more true than when I start thinking about what to get my wife for Christmas. But some years I think too long – and all of a sudden it’s Christmas, and the mall is packed – and I end up grabbing something random in a panic! That’s why I’m so excited to partner with James Avery Artisan Jewelry this year. Their beautiful boxed sets helped me to deliver the PERFECT gift. A gift that truly knits together generations of tradition, and a family connection from my past. Yep, I’m that snazzily dressed kid on the left! My dad was one of those crazy Navy jet pilots who flew off aircraft carriers. When my parents were first married they did a lot of traveling together, and even lived overseas for several years. On his time off, my father and mother would explore nearby European cities. Bohemia, now a part of Czech Republic, was known for their Garnets at the time. In a romantic gesture, my father bought a garnet ring for my mom to always remember their trip by. The ring had a string of small garnets across it. The garnets were always treasured as a symbol of love from my dad, to my mom. I married my own wife 11 years ago. And just like my own mother did many years ago – my wife also left her family and everything she knew when we got married. She moved to Texas to start a family with me. But one person I couldn’t introduce her to in Texas, was my father. He had died several years before we met. My mother, though, had a lovely idea for including my wife in the family legacy my dad had left behind. 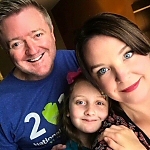 She gifted my wife the garnet ring my dad had once bought for her, and asked my wife to someday leave it to our own daughter – so that both she and our daughter would have a physical connection to my dad, Bill… a man they had never met, but without whom, our family wouldn’t even exist. 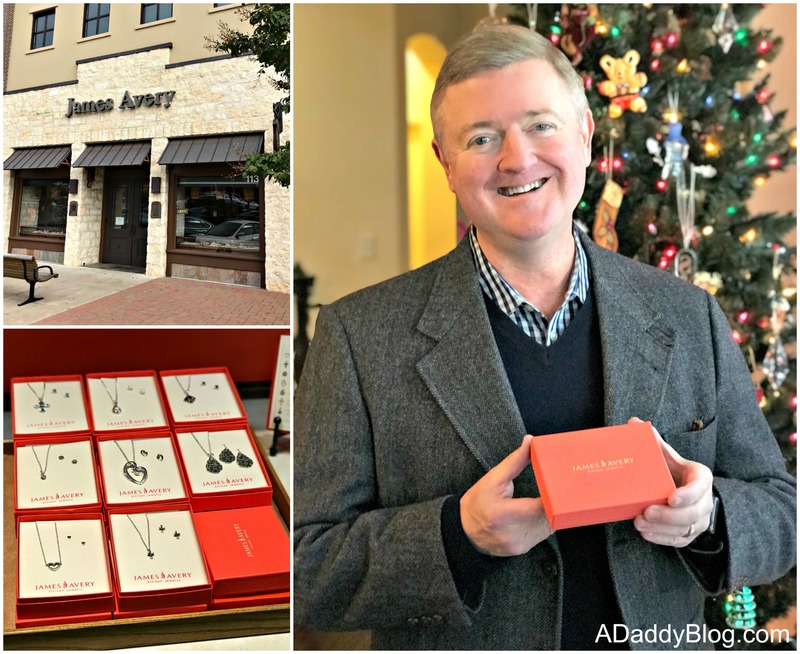 This year James Avery has several boxed sets of Artisan Jewelry available. All paired and ready to be gifted! When I walked into the store, I knew anything I bought there would have great resonance to my wife. We’ve always appreciated the kind of quality jewelry James Avery has, and how they hand-craft it with care. In fact, our wedding rings are also from James Avery. So it’s a place that already has symbolic meaning to us of family. Entering the store, I saw the new jewelry gift sets. 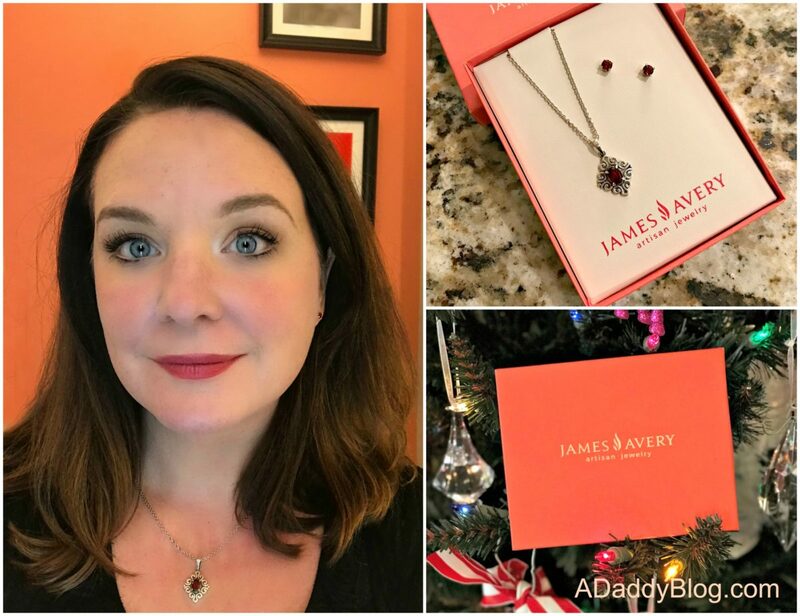 My heart skipped a beat when I saw just the perfect thing, the James Avery Garnet Gift Set. Beautiful garnet earrings matching a silver garnet necklace. 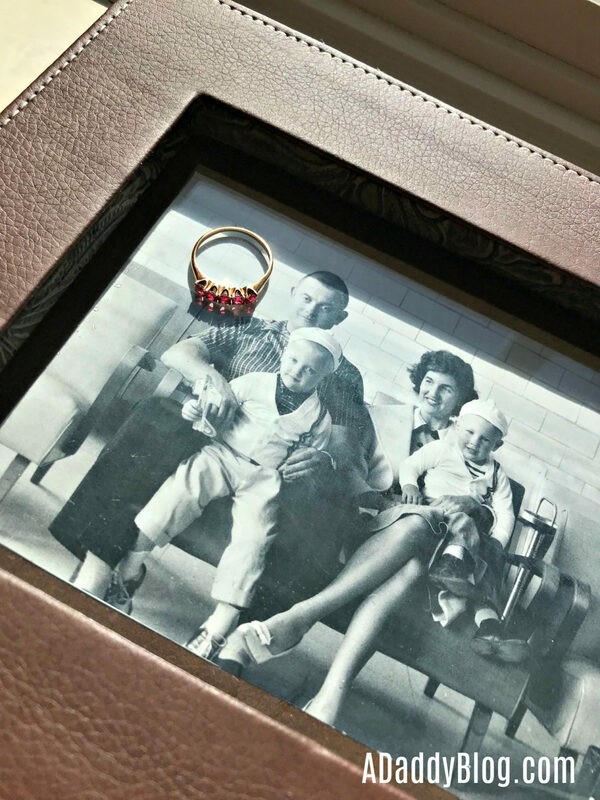 The perfect set to match the Garnet ring, being passed down the generations of our family tree. My wife loves it! But even more than that – another husband in our family, me, has given garnets to his wife. I love family traditions, don’t you? Many generations from now, I hope the owner of these garnets looks down at the ring – and remembers my dad… the man that started it all. And then I hope they look at the James Avery Garnet necklace and earrings set, and they remember me. And the timeless love I had for my wife. I hope the Garnet Jewelry reminds future generations they are part of a much longer chain. A chain of time – and so much love. Symbolized by a Garnet. Thanks to James Avery Artisan Jewelry for sponsoring this post. All opinions are my own.